Today Zaporizhia is hosting Eco-Forum – 2018, the II Specialized International Ecological Forum. It is held on the premises of “Cossack-Palace” Exhibition Centre from May 30 until June 1, 2018. The official opening of the forum was attended by city mayor Volodymyr Buriak, representatives of regional authorities, experts etc. 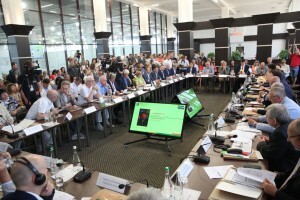 The II Specialized International Ecological Forum Eco-Forum – 2018 has been organized by Zaporizhia City Council, Ministry of Ecology and Natural Resources of Ukraine, Ministry of Education and Science of Ukraine, Zaporizhia Chamber of Commerce and Industry, and “Potential” Zaporizhia Regional Union of Industrialists and Businessmen. As organizers note, for these three days, Zaporizhia is going to turn into the platform to share experience in introducing new technologies in the ecology sector. 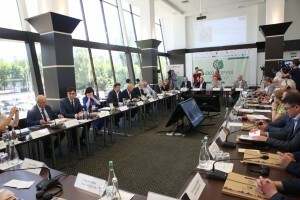 The forum major tasks include consolidation of the activity carried out by industrial entrepreneurs, public sector, and authorities for the purpose of mutually advantageous cooperation in implementation of the measures focused on improvement of environment and attraction of investments to ecological projects, etc. While welcoming the participants, city mayor Volodymyr Buriak mentioned the results of the first Eco-Forum held last year. He expressed his conviction that the practice of holding such forums will be going forward as well. – The major thesis of Eco-Forum is to join efforts of authorities, industrial undertakings, and public sector to solve the environmental challenges. 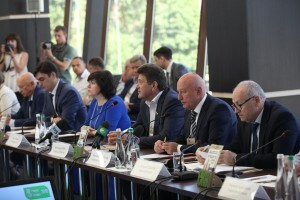 It is very crucial for me that the Forum resulted, including Zaporizhia, in gaining up-to-date practical experience in ecology sector and in improving the condition of environment. I wish everyone have fruitful work for these three days, – Volodymyr Buriak said. The city mayor has reminded Zaporizhia has what to tell about. 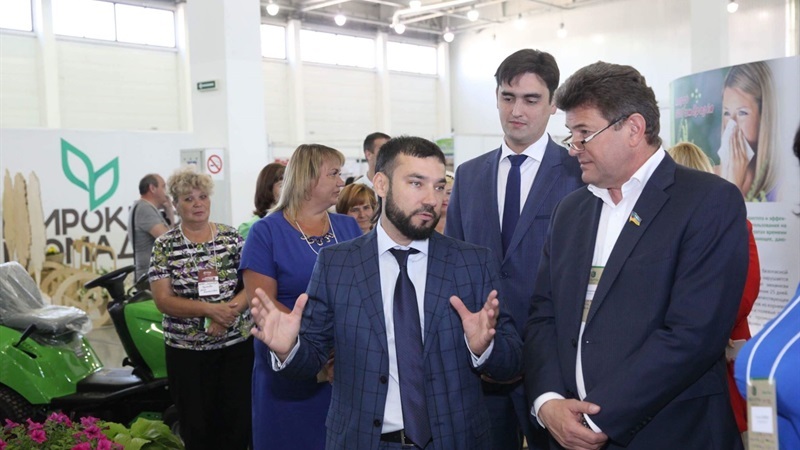 At the today’s exhibition, “Zelenbud” has shown the groundwork on how to combat quarantine plants by applying latest methods. The city is actively using waste heat of “Zaporizhstal” industrial complex for preliminary heating of hot water in non-heating season. Subsequently, it is going to save up to 16 million of cubic metres of natural gas this year. This year, as part of Eco-Forum, there will be held the exhibition of eco-projects and programs, conferences, presentations, seminars, and master-classes. 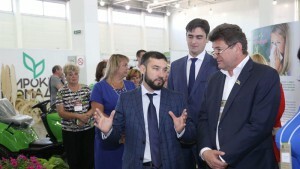 The exhibition is going to welcome large industrial enterprises, utility companies of the city, undertakings specializing in energy saving, energy efficiency, protection of environment, and higher education institutions. They are presenting their information boards about nature-oriented measures implemented, products manufactured, and services offered. 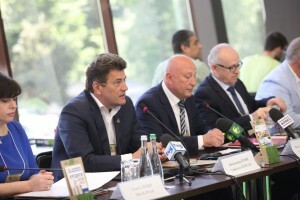 The international scientific conference on sixtieth anniversary of Zaporizhia city children botanic garden is to become a large-scale event either. There will be organized children educational eco-location. The forum’s program includes events for industrialists and businesspersons, scientists, educators, students, and pupils. Throughout three days, there will be working Eco-Forum topical sections. They include the sections on protection of environment of water basin, water resources, control and monitoring of environment, processing of industrial and household wastes, energy saving and energy efficiency, eco-education, and the issues of combatting quarantine plants. The guests are not only Zaporizhia citizens but also the ones who come from Kyiv, Vinnytsia, Kharkiv, Odesa, Dnipro, Chernivtsi, and Rivne. The delegations from Germany (Oberhausen, Magdeburg), France, Canada, Israel, Poland, the Czech Republic, Azerbaijan, and China are also taking part in the forum.